A: Invisalign aligners are virtually invisible. No one may even notice that you’re wearing them, making Invisalign a seamless fit with your lifestyle. Invisalign aligners are removable. For the best results and a timely outcome, aligners should be worn for 20 to 22 hours per day. However, unlike with braces, you have the flexibility to remove your aligners to eat and drink what you want during treatment. And you can also remove the aligners to brush and floss as you normally would, for fresh breath and good oral hygiene. There are no metal brackets or wires that could cause irritation to your mouth, an advantage over traditional braces. Plus, since your office visits during treatment don’t involve metal or wire adjustments, you’ll likely spend less time in the dentist’s chair. Invisalign allows you to view your virtual results and treatment plan before you start so you can see how your straightened teeth will look when your treatment is complete. Instead of imagining how much better it can be, you’ll be able to see it for yourself. A: While Invisalign moves your teeth without the pain and anxiety metal braces can cause, some people experience temporary discomfort for a few days at the beginning of each new stage of treatment. This is normal and is typically described as a feeling of pressure. It’s also a sign that Invisalign is working, as it moves your teeth to their final destination. This discomfort typically goes away in a couple of days. A: The length of treatment depends on the severity of your case and can only be determined by Dr. Paul Gonzalez; however, the average case takes about 12 months for adults. The length of time necessary for a teen patient may vary and can be determined by Dr. Paul. Q: Can I just wear aligners while I sleep? A: No. The aligners must be in place a minimum of 20 to 22 hours a day for the treatment to be effective. A: Similar to other orthodontic treatments, Invisalign aligners may temporarily affect the speech of some people, and you may have a slight lisp for a day or two. However, as your tongue gets used to having aligners in your mouth, any lisp caused by the aligners should disappear. Q: Are there restrictions as to what I can eat while in treatment? A: No. Thanks to the removable nature of the aligners, you can eat and drink whatever you want while in treatment. In fact, you’re required to remove your aligners to eat and drink. So, unlike undergoing traditional treatment using wires and brackets, there is no need to restrict your consumption of any of your favorite foods and snacks unless you are instructed otherwise by your doctor. Also, it is important that you brush your teeth after each meal and prior to reinserting your aligners to maintain fresh breath and proper hygiene. Q: Will smoking stain the aligners? A: We discourage smoking while wearing aligners because it is possible for the aligners to become discolored. A: Because of the high sugar content in alcohol, a moderate amount would be fine to consume, as long as care is taken to clean the teeth and the aligners soon after so as not to trap sugar between them. The same applies for any sugary beverage. Q: Can I chew gum while wearing aligners? Q: How often must I see Dr. Paul? 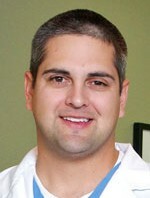 A: We will schedule regular appointments for you with Dr. Paul about once every four to six weeks. The goal of these visits is to ensure that your treatment is progressing as planned. Q: Can the aligners slip off while I’m asleep? A:It is very unlikely that your aligners would ever fall out, no matter what you were doing at the time: sleeping, talking, laughing, etc. The aligners are designed to fit firmly on the teeth, so this should not be a cause for concern.